Barcelona goalkeeper Marc-Andre ter Stegen is unwilling to speculate on Neymar's future, but admits it would be no bad thing to have the forward back at Barcelona. Neymar has been tipped to make a sensational return to the LaLiga champions despite leaving in acrimonious circumstances last August in a world-record €222million deal. 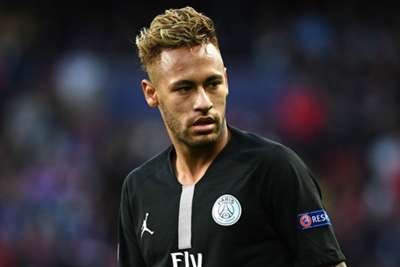 Barca president Josep Maria Bartomeu has insisted they will not try to buy the player back from Paris Saint-Germain, but both they and Real Madrid have been frequently linked with a bid over the past year. Ter Stegen says he gets on well with his old team-mate and does not appear unwilling to welcome him back to the club. "The good thing is that you're the ones who inform," he told Mundo Deportivo. "I don't know what will happen with Neymar. I can only say that I have a good relationship with him. "In the end, having the best in your team is always good, but I'm not going to get into things like these." Barca captain Lionel Messi was also linked with a move away from the club before he finally signed a contract extension last November that will keep him at Camp Nou until 2021. Ter Stegen admits he does not like to imagine life at the club without the talismanic number 10, who is set to be sidelined for three weeks with a broken arm. "I'm not thinking about that and I don't want it to be now," he said. "Leo is happy here, he feels comfortable, he's spent his whole life here and we want him to feel comfortable. "Before the injury, as always, he was in a very good moment. I don't want to think about what will come next, but there is still a lot of time to enjoy him here." Barca face Inter in the Champions League on Wednesday before the Clasico in Catalonia takes place four days later. It will be the first meeting between Barca and Madrid without either Messi or Cristiano Ronaldo involved since December 2007, with the Portugal star having left for Juventus before the start of the season. Ter Stegen accepts the loss of Ronaldo has had something of an impact on the form of Madrid, who are winless in five matches, but does not want Barca to become distracted by their rivals' problems. "So far, they've handled things differently," he said. "They have really good players, but... the truth is I've not seen many Madrid games because we're also on a packed schedule, but of course it's noticed. "I spoke with [Toni] Kroos during the Germany call-up. We're somewhat better, but we have to focus on ourselves, because that's how we reach 100 per cent."